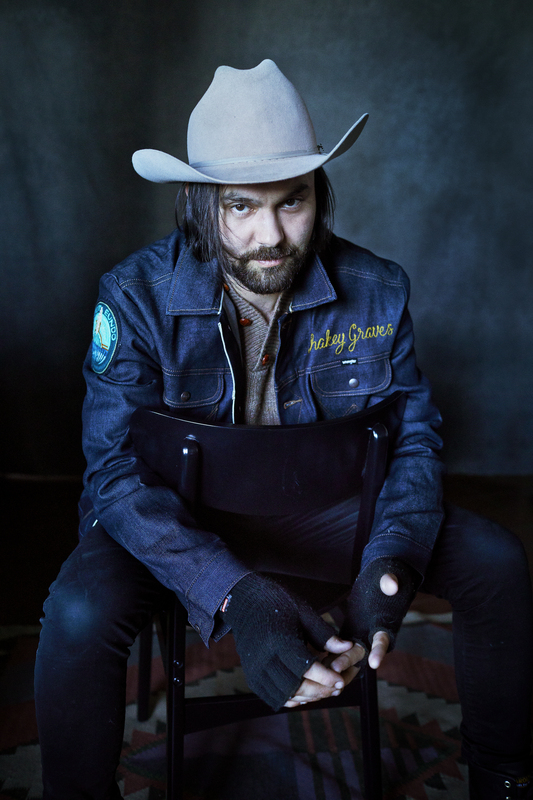 Alejandro Rose-Garcia (aka Shakey Graves) announced his newest album ‘Can’t Wake Up’ (out now on Dualtone) with a simple message to his fans -“Next album. New sound. Sell your suspenders.”That tongue-in-cheek statement, though, was a genuine attempt to prepare his followers for a major sonic shift for the Texas songwriter, who got his start performing as a one-man band, culminating with an Americana Music Awards win for “Emerging Artist of the Year” behind his breakout full-length album, ‘And The War Came.’Now armed with a full band, Rose-Garcia leaves behind much of that stripped-down, folk-y sound. ‘Can’t Wake Up’ takes his songwriting in a “decidedly bigger direction” full of “lush indie compositions” (Consequence of Sound), drawing on another set of his musical influences, ranging from the Beatles and Harry Nilsson to Elliott Smith, Broken Social Scene, Built to Spill and other ’90s indie rock bands.